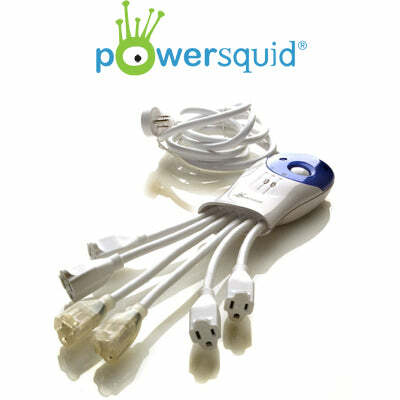 The PowerSquid Surge Protector has the same benefits as the basic PowerSquid with the addition of surge protection, as well as power filtering. Featuring a larger case with a more "consumer electronics" look, the PowerSquid Surge Protector went on to win the Consumer Electronics Show Best of Innovations Award, the most prestigious award in consumer products at the largest trade show in America. It also walked away with the Scientific American People's Choice Award, showing that a simple solution can mean more to people than fancy technology. 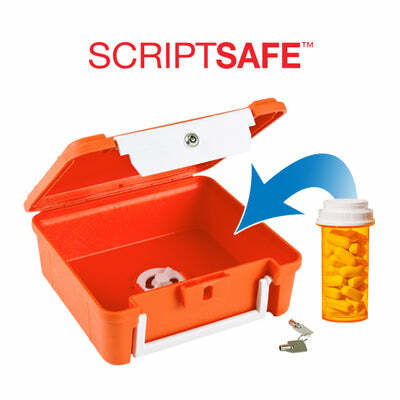 The ScriptSafe case is a new, tamper-resistant, medical storage case that helps secure and store prescription drugs and over-the-counter medications. Piece of mind comes with knowing that your medications are not only locked up, but also locked down to a fixed location with the ScriptSafe's unique locking mount. Extensive testing has been done to ensure that your medications are always safe and secure. Start living safer today and help prevent drug abuse and addiction with the ScriptSafe.